Open House for this program is Sunday, June 11th at 2 pm at Makki Educational Academy (MEA). MEA is located at 4926 N. Kimball, Chicago, IL 60625. 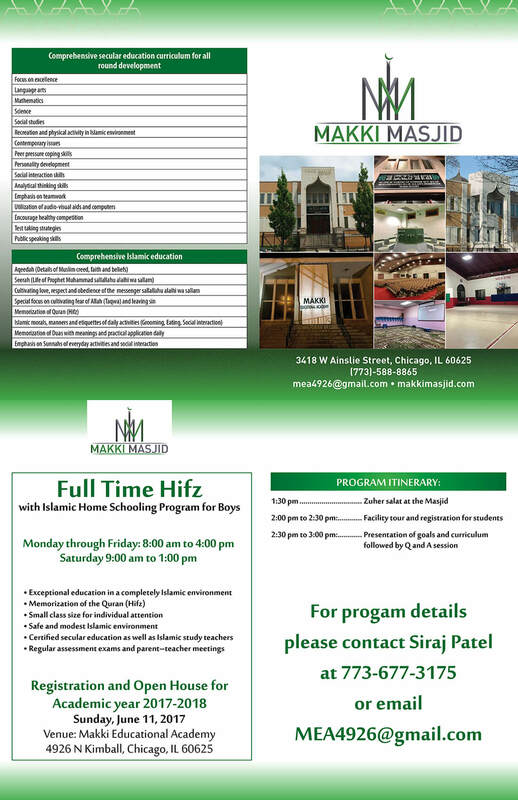 For Program details please contact Siraj Patel at (773) 677-3175.